Getting started in trucking can be a daunting task. Some people are lucky enough to know truck drivers or retired truckers. They can ask questions, seek guidance, and know what to expect as they take the journey into the longest road trip of their life... Trucking. How often will I get to come home? What company should I start with? The list of questions was long and overwhelming. I spent many hours typing new search phrases into Google searching for the answers. Luckily, since you’re reading this blog, you’ve already found Driver Solutions. This is a fantastic place to find the answers to those tough questions and a fantastic place to begin your CDL training. But you’re still probably wondering, what comes next? What is it like being a solo driver? What is it like “out there” in the real world? What does it take to survive that all important first year on the road? In the past 3 years, I’ve gone from truck driving student to truck driving trainer. And I’ve come up with 3 main reasons your first year as a truck driver will make or break you. So grab yourself a cup of coffee, get comfortable, and pay close attention. What you’re about to read could have a drastic impact on your success that first year as a truck driver and beyond. Make no mistake, truck driving is more than a job. Truck driving is a lifestyle. In fact, this is more of a lifestyle with a paycheck than it is a job with a paycheck. This is especially true for OTR and long-haul drivers who are away from home for extended periods of time and working close to 70 hours per week. In order to be successful and become a happy truck driver, you have to be prepared for both the tough side of trucking as well as the awesome rewards. There’s more to trucking than just driving. The public restrooms, the cramped spaces, the long nights, the solitude, dealing with customers who don’t seem to care about your comfort, and of course, the days and weeks spent away from your friends and family (including weekends and holidays). It’s tough out there. You’ll never hear a truck driver claim it’s a glamorous lifestyle and you need to be prepared for that. Truck driving is not a paid vacation and it’s very tough work. Surviving that first year will completely depend on your attitude. If you expect this to be easy, you’re in for a huge surprise. Transitioning into a trucking career will be one of the most drastic and difficult changes of your life. But there are so many great things about being a truck driver as well. With the right attitude, all the negatives I mentioned above could be positives. Trucking is something I thrive in. I love the solitude, I love the irregular schedule, I love that the only thing which remains constant in trucking is constant change. And of course, driving a huge 80,000lb truck over a 3,000ft mountain on a bright sunny day is my paradise. There’s no other feeling in the world than driving a huge, powerful truck. There’s nothing greater than putting a big smile on a kid's face as you lay into the air horn. Cruisin’ along while jammin’ to your favorite tunes and getting paid for it almost makes it seem like you’re stealing from the company. Seeing more of this country in 1 month than most people see in 10 years is simply priceless. There is nothing that compares to trucking and nothing that can match the rewards trucking offers. After a while, it becomes addicting, just like a drug. You’ll never want to leave. What's holding you back from starting your career in trucking? Driver Solutions can help you! Just take a few moments to complete our online driver application now. But it’s all about attitude. Understand that this is a major lifestyle change. Understand that it will be tough and test your patience at times. And understand that the longer you do it, the more enjoyable it becomes. Stay positive, stay safe, and no matter how tough things get, dedicate a minimum of 1 year to this lifestyle. You’ll be glad you did. Now that you understand trucking is a lifestyle and not a job, it’s time to master your skills driving that huge and powerful truck. Just like the lifestyle, driving a warehouse on wheels is not easy. It takes patience, practice, and persistence in order to be a safe driver. Without patience, you’ll never survive that crucial first year as a truck driver. Having patience begins with yourself. Even after you’ve completed CDL training and even after you've completed company training, you will make mistakes. No question about it. As long as you don’t hit anything, you’re allowed to make those mistakes. The learning curve involved is something every trucker has gone through (even though some don’t like to admit that). So be patient with yourself and learn from any mistakes you make. You also need to have patience with 4-wheelers (cars) driving around you. Now is not the time to have road rage. People driving cars will do some incredibly dumb things. But guess what? You are the professional and they aren’t. You are expected to drive like a professional and they aren’t. Instead of getting upset about the way some 4-wheelers drive around you, simply be patient, adjust your driving to theirs, and remain as safe as possible. If you don’t learn to have patience around the motoring public, you’ll either burn out from stress or end up in a career ending accident. Finally, have patience with other truckers. Sometimes a new driver will hold people up as he or she attempts to back into a parking space or a dock. Be patient. Other times, you’ll be the one holding everyone up. So again, be patient with yourself. The more you try to rush things, the more likely something bad is going to happen. Remain patient with yourself, no matter how impatient others around you get. As a truck driver, the learning never stops. You should try to learn something new each and every day and you should never pass up an opportunity to practice. For example, if you enter a truck stop which is empty, find a spot to back into instead of a spot to pull through. When you take the time to practice during the less stressful moments, you’ll excel during the stressful ones. Even the routine areas of trucking such as performing your daily pretrip inspection, trip planning, or taking tight turns; You should always practice and learn from each experience by trying new techniques. Once complacency kicks in and you think you know everything, your career is in jeopardy. When things get tough, and they will, keep pushing through. Your first year can be very trying. The learning curve is a long and slow curve. There will be times you want to simply give up. There will be times you’ll wonder why you’re living the trucking lifestyle. There will be times when you wonder if you made a big mistake. Be persistent. Push through. And never quit on a bad day. If you remain persistent and dedicate that first year to success without the option of failure, you can’t help but make it through the toughest year for any truck driver - year one. There is a sickness in the trucking industry and it is extremely contagious. It's called "The Grass Is Greener Syndrome." It's no secret that the trucking industry experiences a high turnover rate. But most of that turnover comes from drivers changing companies within the industry, not leaving the industry. Truck drivers are very good at convincing themselves things could be better at another company. Don’t fall for it, especially in that first year. Fact of the matter is, in your first year, you won’t get hired into the premium truck driving positions. If you switch carriers in the first year, you’ll simply substitute one thing for another. One company might pay more per mile, but average less miles. Another company might have nicer trucks, but offer less home time. There is always a trade off. Worst of all, it looks extremely poorly on you if you leave your first company before the 1 year mark. The premium trucking positions are reserved for those with experience, safety, and proven reliability. If you leave your first company in the first year, you don’t appear to be reliable, you haven’t proven that you’re safe yet, and you don’t have much experience. Any position that’s offered to you in that first year will be more of the same. 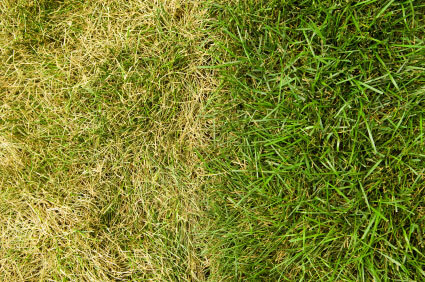 Chances are, if you leave your first company before the 1 year mark, everyone will diagnose you with “Grass Is Greener Syndrome.” The only thing that can cure that is time. The more changes you make, the more time it’ll take to heal. So do yourself a favor and wait at least one year before changing companies. That’s the real secret behind landing a premium trucking job and advancing your career. So consider that first year an investment. Then again, after that first year, you’ll be making more money, driving more miles, have a good relationship with your dispatcher, understand how the company works, and will have learned a ton about the industry. You might just find yourself sticking around with your first company like I did. A lot of drivers don’t realize how good they have it until they’ve already left. It’s just another symptom of the disease. That first year is tough. But if you follow the above advice and stick it out, you can’t help but become a successful, safe, happy, experienced and marketable truck driver.